Dealing with Multiple Choice Questions: Expert Guide with Great Tips! Examinations comprised of multiple choice questions are perhaps one of the most popular and common methods of evaluating the knowledge that students have acquired. The strategies we describe in this guide were devised to show students how they can improve their chances of answering these questions correctly and, at the same time, achieve the highest possible test scores. When you are faced with multiple choice questions, especially in a test situation, the following strategies really can help you become better at taking tests. So, use them when you can! It is advisable to read all questions twice at least before looking at the answers. Then read the possible answers twice at least. Now, go back and read each question once more. It is also a good idea to hide the answer options with a ruler or sheet of paper when you are reading the body or stem of the provided questions. Try and answer the question in your own mind before you look at the answer options. This will ensure the options will not trick or knock you off balance. Eliminate any answers you are sure are incorrect. Each eliminated answer improves your chances of answering the test question correctly. Go slowly when working on multiple choice tests. Before selecting an answer, make sure you read every answer option. Never assume the first answer option is the right one. Read every option, because even though the first option may seem correct, one of the later ones may be the right one or might fit better. If your multiple choice test does not carry any penalty for guesswork, it is worth taking a well-considered guess and choosing one of the answer options. Try not to leave any questions without an answer. It is not a good idea to keep changing an answer. The first answer you choose is often right unless you somehow misread or misunderstood a particular question. Some multiple choice test questions give the option of choosing “All” or “None” of the provided answers. In these cases, you should not select the “None” or “All” option if you are confident one of the provided statements is respectively correct or incorrect. In questions where there is an “All” option and you know that two of the provided statements are correct, then “All” is the right choice of answer. Something else a test taker should look out for is tone because this often matters. Positive-sounding answer options are more likely to be right than negative-sounding ones. The amount of words in an answer can be an indicator to whether it is correct or not. Often, correct answers are the longer and/or more informative ones. If a particular question in an online quiz or test really stumps you, go for the “b” or the “c” option. Although they do it in a subconscious way, a lot of test writers feel correct answers are better “concealed” when they are placed in the midst of distracters. So, on this principle, “a” responses are most unlikely to be the right ones. Before handing in your answer sheet(s) make time to double-check your answers. Where a test is timed, use every last second available to you to read back over your answers. Where a test is not restricted by time, check your work several times. Regardless of what class you are taking or what your educational level is, there is a great deal of stress and pressure attached to online tests. The clock is ticking and you only get one chance to achieve the grade(s) you want or need. At SupremeEssays.co.uk, we understand what is required to succeed in these pressurized conditions. Therefore, we have a team of academically qualified experts to provide assistance with multiple choice assignments in virtually every subject you can think of. So we invite you to use our excellent online test writing services. Just place an order through our company’s website. Tell us what your test’s topic is and your deadline. If you have any additional materials, please provide these as well. We will also need the login details for the site where the test or assignment is located. Pay for your order and from there we will take care of everything else. We realize you take your college work seriously and we understand that it is difficult for students to think under intense pressure, no matter how gifted they are. So let the experts at SupremeEssays.co.uk help you get great results in the next online test that comes your way! 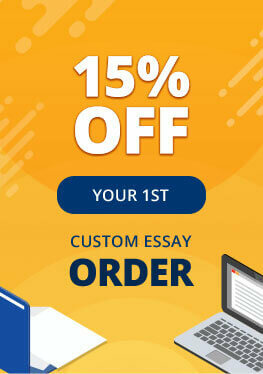 With the ability to answer short questions, essay questions, and multiple-choice style questions, our experts have a wide and diverse array of knowledge and we are sufficiently confident to accept any test or assignment you need assistance with. The knowledge within our team is unrivalled and covers many fields of study, including difficult subjects such as Art, Business, Economics, Finance, Law, Literature, Math, Science, and many others that a lot of students feel daunted by. Throughout the process, we work in close cooperation with the customer to make sure our work meets their needs. We constantly strive to provide products that are accurate in both the results they bring and the way they match the educational level of the student and the course or class they are aimed at. The cost of hiring a qualified writer through SupremeEssays.co.uk and using any of our services is very affordable. You will receive assistance from a well-educated and trustworthy professional for the money you pay. The superior quality of our written products and our reasonable prices are the primary reason why a large number of students come to us. Remember that we calculate test questions on the basis of five questions to a page. We offer a wide range of products and services and all of them are designed to be compatible with your requirements and with your budget. Whether you need assistance with essays, tests, short-answer questions, multiple-choice questions, complicated dissertations, or any type of coursework or writing project, SupremeEssays.co.uk has the solution to most of your academic problems. 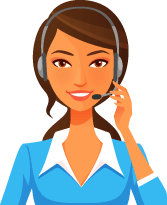 Our team will never stop working until the order you placed is satisfactorily completed. Providing you with the assistance you need and helping you get excellent grades is our top priority.